C. Kurt Dewhurst serves as the director of Arts and Cultural Initiatives and as a Senior Fellow, University Outreach and Engagement (UOE). 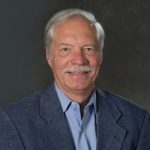 He is director emeritus of the Michigan State University Museum, as well as a curator of folklife and cultural heritage and a professor of English. Dr. Dewhurst directs and coordinates a variety of arts and cultural programs for University Outreach and Engagement. The author or co-author of numerous books, articles, and exhibition catalogues, he has also curated over 60 exhibitions and festival programs. He teaches courses in folklife, material folk culture, and museum studies. He currently serves as chairperson of the Board of Trustees for the American Folklife Center of the Library of Congress. He has also served as president of the American Folklore Society, chair of the Advisory Council—Smithsonian Center for Folklife and Cultural Heritage, chair of the Michigan Council for the Arts and Cultural Affairs, vice-chair of the Michigan Humanities Council, and president of the Michigan Museums Association. He is an advisor to the Nelson Mandela Museum in Mthatha, South Africa, and planner for the development of the new Ahmed Kathrada Foundation Museum Center on Non-Racialism in Johannesburg, South Africa, and the Desmond and Leah Tutu Legacy Foundation in Cape Town, South Africa. He has served as an advisor to the development of the Nokomis Learning Center, Okemos, MI; the National Cultural Center in Bangkok, Thailand; and the National Heritage and Cultural Studies Center at the University of Fort Hare, Alice, South Africa. He also serves as a senior reviewer for the accreditation program of the American Alliance of Museums. Dewhurst is a past recipient of a Fulbright grant to work in Thailand with the National Culture Commission of Thailand and participated in a French-American Foundation Arts Administrators Exchange Program in France. He was honored with the Américo Paredes Prize by the American Folklore Society for excellence in integrating scholarship and engagement with communities. In addition, the Great Lakes Folk Festival was recognized in 2004 as the best project in the 30-year history of the Michigan Humanities Council. In the past decade he coordinated a major cultural heritage training program in South Africa; served as co-curator of the 2006 Smithsonian Folklife Festival program, Carriers of Culture: Native Basket Traditions; was co-curator for the major international exhibition, Dear Mr. Mandela, Dear Mrs. Parks: Children's Letters, Global Lessons (in South Africa and the US) and Ahmed “Kathy” Kathrada: A South African Activist for Non-Racialism and Democracy in the US. He was awarded a Fulbright grant at the University of Witwatersrand, Johannesburg, South Africa, where he assisted on the re-development of the Museum of Anthropology. He is one of the leaders for the US-Africa Cultural Heritage Strategic Partnership and a US/China Folklife and Intangible Cultural Heritage Partnership project involving museums from both countries. He has served as curator for an exhibition in 2015 on living Native Hawaiian lauhala weaving traditions with the Bishop Museum in Honolulu, and the 2012 Smithsonian Folklife Festival Program, Campus and Community: Public Universities and the USDA at 150. Dewhurst, C. Kurt and Marsha MacDowell 2016. Introduction, Curatorial Conversations: Cultural Representation and the Smithsonian Folklife Festival.Olivia Cadaval, Sojin Kim, and Diana Baird N’Diaye (eds.). Oxford: University of Mississippi Press. pp. 3-10. Dewhurst, C. Kurt and Lynne Swanson. 2016. “A Commitment to Textile Traditions: The Michigan State University Museum, East Lansing, MI.” Quilts of Southwest China Marsha MacDowell and Lijun Zhang (eds.). Nanning: Guangxi Museum of Nationalities. pp.62-65. Dewhurst, C. Kurt and Marsha MacDowell 2015. Strategies for Creating and Sustaining Museum-based International Collaborative Partnerships. Practicing Anthropology. Summer, Vol. 37. No 3, pp. 54-55. Dewhurst, C. Kurt and Marsha MacDowell 2015. “Memories of Robben Island Visit with Ahmed Kathrada. Triumph of the Spirit: Ahmed Kathrada and Robben Island. NZ: PQ Blackwell with the Ahmed Kathrada Foundation. Dewhurst, C., Kurt, Diana Baird N-Diaye, and Marsha MacDowell 2015 “Cultivating Connectivity: Moving Toward Inclusive Excellence in Museums”. Curator: The Museum Journal. Special issue on Folklife and Cultural Heritage, Vol. 57, No. 4. pp.1-18. Dewhurst, C. Kurt, Lia Keawe, and Marsha MacDowell 2014. Ike Ulana Lau Hala: The Vitality and Vibrancy of Lau Hala Weaving Traditions in Hawaii. Honolulu: University of Hawaii Press. 2014. Dewhurst, C. Kurt. 2014. Presidential Address 2011, “Folklife and Museum Practice: An Intertwined History and Emerging Convergences.” Journal of American Folklore. Vol. 127, No 505. pp. 244-263. Dewhurst, C. Kurt and Marsha MacDowell. 2013. “Going Public through International Museum Partnerships.” in Going Public: Civic and Community Engagement (eds. Hiram Fitzgerald and Judy Primavera, East Lansing: Michigan State University Press. Dewhurst, C. Kurt, Marsha MacDowell, and Kate Wells. 2012. Siyazama: Traditional Arts, AIDS, and Education in South Africa, Johannesburg: University of Kwa-Zulu Natal Press, 2012. Dewhurst, C. Kurt. 2011.“Folklife and Museums: A Force for the Construction of a New Cultural Ecology.” Journal of Cultural Heritage. Key Research Institute of Humanities and Social Sciences in Universities and Institute of Chinese Intangible Heritage, Sun Yat-sen University, Guangzhou, China. Vol. 1. pp 100-104. Dewhurst, C. Kurt. 2002. "Rethinking Collaboration: Lessons from the Field," in Julie Avery, ed. Rooted in Place: Community Arts and Culture. East Lansing, Michigan: Michigan State University Museum and Michigan Council for the Arts and Cultural Affairs. Dewhurst, C. Kurt, Marsha MacDowell, and Narissa Ramdhani, 2008. “Lessons Lived and Learned in Developing and Managing a Bi-National Cultural Heritage Sector Project in South Africa,” 2008. Museum Anthropology Review. Vol. 2, No. 1. Dewhurst, C. Kurt, Marsha L. MacDowell, and Marjorie Hunt. 2006. “Carriers of Culture: Living Native Basket Traditions.” in Frank Proschan, ed. Smithsonian Folklife Festival Annual. Washington, DC: Smithsonian Center for Folklife and Cultural Heritage, pp. 46-62. “Nani I Ka Hala: The Vibrancy and Vitality of Lau Hala Weaving in Hawaii.” Bishop Museum, Honolulu, and Maui Arts and Cultural Center, HA. 2015. “Sun-up to Sundown: Selections from the Our Daily Work/Our Daily Lives Collection,” Michigan State University Museum. 2013. “Ahmed Kathrada: A South African Activist for Non-Racialism and Democracy." Michigan State University Museum, East Lansing, MI. 2013. “Campus and Community” (Smithsonian Folklife Festival Program), Smithsonian Folklife Festival. Washington, DC. 2011. "Carriers of Culture: Living Native Basket Traditions" program at Smithsonian Folklife Festival, 2006. "Carriers of Culture: Living Native Basket Traditions" preview exhibit, Smithsonian National Museum of the American Indian. 2006. "Dear Mr. Mandela/Dear Mrs. Parks" Exhibit, (collaborative with the MSU Museum and Nelson Mandela Museum), Mthatha, South Africa, 2008. To Honor and Comfort: Native Quilting Traditions" (a collaborative project between the National Museum of the American Indian and Michigan State University Museum), National Museum of the American Indian, New York, New York, October 16, 1997 - January 4, 1998; Michigan State University Museum, East Lansing, Michigan. National venues: Fuller Museum of Art, Brockton, Massachusetts; Cleveland Museum of Natural History, Cleveland, Ohio; Museum of the Rockies, Bozeman, Montana; Bishop Museum, Honolulu, Hawaii; Washington State Historical Society, Tacoma, Washington; Museum of International Folk Art, Santa Fe, New Mexico; Heard Museum, Phoenix, Arizona. "Native Quilt Traditions of the Southwest." Institute of American Indian Arts Museum. Santa Fe, New Mexico, 2000. American State and Local History Awards, 1977, 1985, and 1988. Award, and a Crystal Award for exemplary community service by the City of East Lansing. Michigan State University Diversity Award for Michigan Traditional Arts Program Contributions, 1990.